The nonsensical battle against the country’s favorite fast-food restaurant is continuing, with the latest battle taking place in San Antonio. 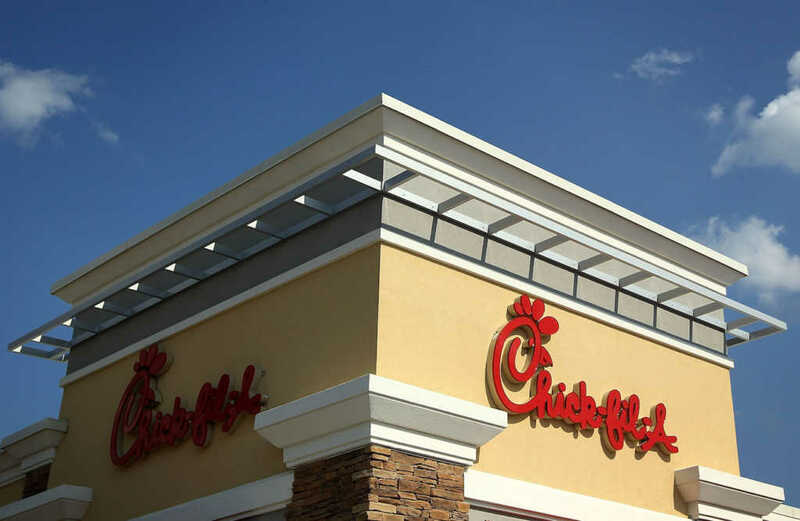 On Thursday, administrators with the San Antonio City Council rejected a potential Chick-fil-A location at the San Antonio International Airport, citing the Atlanta-based chain’s “legacy of anti-LGBTQ behavior,” according to KTSA-FM. The decision to scrub Chick-fil-A from its list of considerations came when the council inked a seven-year contract with Paradies Lagardère, a travel retailer that operates stores and restaurants in airports. The deal is expected to generate around $2 million in revenue for the city. Chick-fil-A was presented as an option because of its extreme popularity and the health-conscious menu options the restaurant offers. Regardless, the eatery won’t be allowed in the airport’s terminals because it just isn’t inclusive enough, a progressive trope dating back to 2012, when Chick-fil-A CEO Dan Cathy expressed his personal belief that marriage is a union between one man and one woman. Councilman Robert Treviño said providing travelers with the option of eating at Chick-fil-A would make them feel unwelcome. The reference is of course to the Golden Rule found in the Bible, like in Luke 6:31. Chick-fil-A even extended an olive branch. The spokesperson revealed the restaurant’s intention to reach out to the San Antonio City Council to have a “thoughtful dialogue” about the matter. Here’s the truth: Just about everyone in the country — political persuasion aside — really likes Chick-fil-A, because people just want good food. But that hasn’t stopped a really loud minority from doing their level best to create a conflict where there really isn’t one. Earlier this week, for example, the left-wing blog Think Progress declared Chick-fil-A has continued to donate to “anti-LGBTQ” groups. After reading the story, it’s revealed the restaurant donated north of $1.6 million to the Fellowship of Christian Athletes, $150,000 to Salvation Army and $6,000 to the Paul Anderson Youth Home. Each of those three Christian organizations simply hold to mainstream Christian theology when it comes to marriage. The irony in all of this is the very people who claim to champion tolerance and pluralism just can’t seem to stomach allowing a restaurant whose CEO they have a personal beef with to continue to exist for other people to enjoy. Those on the far left have intentionally conflated tolerating something and offering that same thing full-throated endorsement. In reality, those two actions are — by their very definitions — polar opposites. If Chick-fil-A’s critics were actually concerned about genuine tolerance and not spurring on some nonsensical culture war, they’d concede it’s perfectly acceptable to coexist with Cathy and his mainstream Christian theology on marriage without embracing it as their own worldviews. The moral of this story should be rather simple: If people tolerate their differences of opinion with Cathy, they can fully embrace his restaurant’s wonderful chicken. And then we all win.